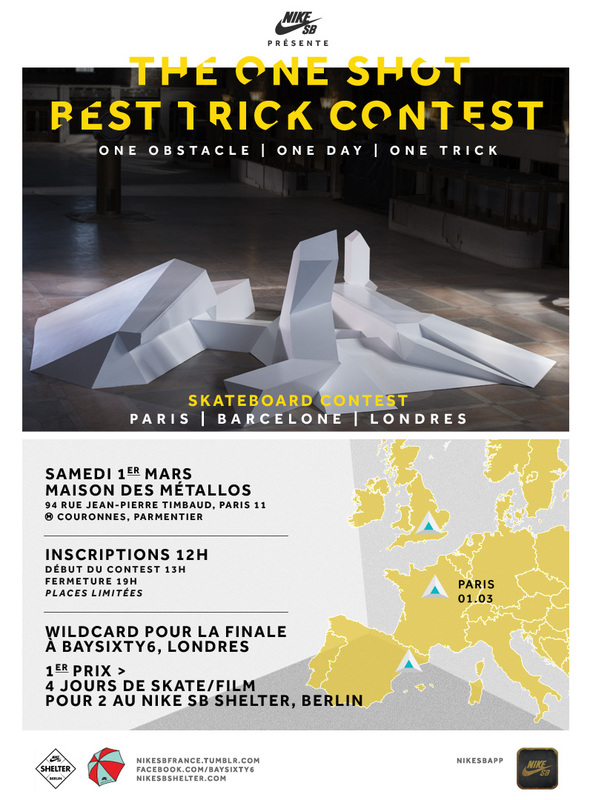 Alongside the release of the new Nike SB Lunar One Shot, the brand is presenting the One Shot Best Trick Contest, a contest on a polygonal structure created for the occasion, to be held in Paris, Berlin and London. The format is simple: one day, one module, one trick. A jury of two Nike SB riders and a local ambassador judges the jam sessions and the winners of each of these three stops will be given a ticket to participate in the final in London. First stop, this saturday 1st at Maison des Metallos in Paris (94 Rue Jean Pierre Timbaud).